Odile Daigle was baptized on 22 April 1831 at St. Antoine de Tilly, Lotbinière, QC, Canada. She was born on 22 April 1831 at St. Antoine de Tilly, Lotbinière, QC, Canada. She married F. Xavier Dubois, son of F. Xavier Dubois and Angèle Côté, on 8 January 1850 at St. Ferdinand d'Halifax, Mégantic, QC, Canada. Odile Daigle died after 3 April 1901. Jean Telesphore Dubois was born on 6 May 1833 at St. Nicolas, Lévis, QC, Canada. He married Olive Roy on 18 February 1851 at St. Calixte de Somerset, Plessisville, Mégantic, QC, Canada. Olive Roy was born circa 1834. She married Jean Telesphore Dubois, son of F. Xavier Dubois and Angèle Côté, on 18 February 1851 at St. Calixte de Somerset, Plessisville, Mégantic, QC, Canada. Pierre Binet was born on 5 September 1844 at St. Sylvestre, Lotbinière, QC, Canada. He married Thasile Pageau on 6 August 1867 at St. Sylvestre, Lotbinière, QC, Canada. Pierre Binet died on 4 January 1913 at age 68. Thasile Pageau was born on 13 October 1845 at St. Sylvestre, Lotbinière, QC, Canada. She married Pierre Binet, son of Pierre Binet and M. Justine Grégoire, on 6 August 1867 at St. Sylvestre, Lotbinière, QC, Canada. Delvina Blais married Étienne Honoré Binette, son of Pierre Binet and M. Justine Grégoire, on 26 May 1894 at St. Paul-de-Chester, Arthabaska, Arthabaska, QC, Canada. Ferdinand Binet was born on 27 February 1848 at St. Ferdinand d'Halifax, Mégantic, QC, Canada. He died on 27 July 1860 at St. Ferdinand d'Halifax, Mégantic, QC, Canada, at age 12. Louis Binet was born on 9 February 1850 at St. Elzéar, Beauce, QC, Canada. He married Elmina Perrault, daughter of François Perreault and M. Henriette Morin dit Valcourt, on 21 July 1874 at Ste. Hélène de Chester, Arthabaska, QC, Canada. Elmina Perrault was born circa 1857. She married Louis Binet, son of Pierre Binet and M. Justine Grégoire, on 21 July 1874 at Ste. Hélène de Chester, Arthabaska, QC, Canada. Théodore Binet was born on 2 January 1852 at St. Elzéar, Beauce, QC, Canada. He married Zoe Labrie on 8 September 1873 at St. Ferdinand d'Halifax, Mégantic, QC, Canada. Théodore Binet died on 19 June 1920 at Black Lake, Mégantic, QC, Canada, at age 68. 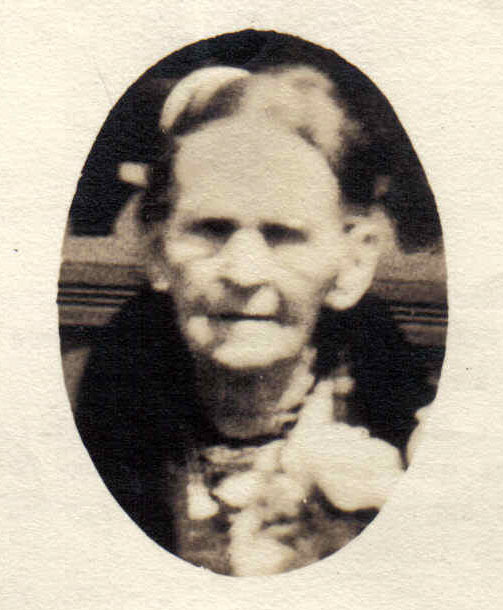 Zoe Labrie was born circa 1852 at QC, Canada. She married Théodore Binet, son of Pierre Binet and M. Justine Grégoire, on 8 September 1873 at St. Ferdinand d'Halifax, Mégantic, QC, Canada. Zoe Labrie died in 1919. Josèph Binet was born on 28 February 1854 at St. Elzéar, Beauce, QC, Canada. He married Delvina Roy, daughter of Henri-Alarie Roy and Clarisse Piuze, on 1 October 1887 at St. Norbert, Norbertville, Arthabaska, QC, Canada. Josèph Binet died on 26 May 1947 at Warwick, Arthabaska, QC, Canada, at age 93. Delvina Roy was born circa 1855. She married Josèph Binet, son of Pierre Binet and M. Justine Grégoire, on 1 October 1887 at St. Norbert, Norbertville, Arthabaska, QC, Canada. Delvina Roy died on 26 May 1947 at Warwick, Arthabaska, QC, Canada. Frederic Binet was born on 4 January 1856 at St. Elzéar, Beauce, QC, Canada. He married Josephine Martineau on 22 September 1879 at St. Ferdinand d'Halifax, Mégantic, QC, Canada. Frederic Binet married Marie-Arthemise LaBonte on 26 August 1889 at St. Ferdinand d'Halifax, Mégantic, QC, Canada. Frederic Binet died on 21 June 1922 at Manchester, Hillsborough, NH, at age 66. He was buried on 24 June 1922 at Manchester, NH. Josephine Martineau married Frederic Binet, son of Pierre Binet and M. Justine Grégoire, on 22 September 1879 at St. Ferdinand d'Halifax, Mégantic, QC, Canada. Marie-Arthemise LaBonte married Frederic Binet, son of Pierre Binet and M. Justine Grégoire, on 26 August 1889 at St. Ferdinand d'Halifax, Mégantic, QC, Canada. Thomas Binet was born on 7 September 1857 at St. Elzéar, Beauce, QC, Canada. 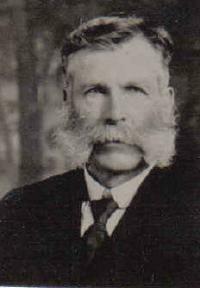 He married Anna Fortier, daughter of Joseph Fortier and Geneviève Gosselin, on 4 July 1882 at Ste. Hélène de Chester, Arthabaska, QC, Canada. Thomas Binet died on 23 July 1934 at Ste. Hélène de Chester, Arthabaska, QC, Canada, at age 76. Anna Fortier was born at Thetford Mines, Mégantic, QC, Canada. She married Thomas Binet, son of Pierre Binet and M. Justine Grégoire, on 4 July 1882 at Ste. Hélène de Chester, Arthabaska, QC, Canada. Jean-Baptiste Binet was born on 3 February 1860 at QC, Canada. He married Adélina Cantin on 15 April 1884 at St. Ferdinand d'Halifax, Mégantic, QC, Canada. Jean-Baptiste Binet died in February 1929 at St. Ferdinand d'Halifax, Mégantic, QC, Canada. Adélina Cantin was born on 26 June 1867. She married Jean-Baptiste Binet, son of Pierre Binet and M. Justine Grégoire, on 15 April 1884 at St. Ferdinand d'Halifax, Mégantic, QC, Canada. Adélina Cantin died on 17 October 1946 at St. Ferdinand d'Halifax, Mégantic, QC, Canada, at age 79. Philomène Binet was born on 17 February 1862 at St. Ferdinand d'Halifax, Mégantic, QC, Canada. She married Clovis Ferdinand Beaudet on 15 May 1882 at St. Ferdinand d'Halifax, Mégantic, QC, Canada. Philomène Binet died on 26 May 1936 at Warwick, Arthabaska, QC, Canada, at age 74. Clovis Ferdinand Beaudet was born on 23 December 1861 at Deschaillons, Lotbinière, QC, Canada. He married Philomène Binet, daughter of Pierre Binet and M. Justine Grégoire, on 15 May 1882 at St. Ferdinand d'Halifax, Mégantic, QC, Canada. Clovis Ferdinand Beaudet died on 27 December 1948 at Warwick, Arthabaska, QC, Canada, at age 87. 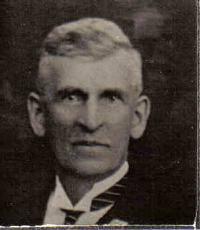 Charles Edouard Binet was born on 24 March 1864 at St. Ferdinand d'Halifax, Mégantic, QC, Canada. He married Phoebe Gardner on 4 July 1887 at St. Ferdinand d'Halifax, Mégantic, QC, Canada. Charles Edouard Binet died on 3 April 1919 at St. Ferdinand d'Halifax, Mégantic, QC, Canada, at age 55. Phoebe Gardner was born. She married Charles Edouard Binet, son of Pierre Binet and M. Justine Grégoire, on 4 July 1887 at St. Ferdinand d'Halifax, Mégantic, QC, Canada. François Xavier Binet was born on 22 March 1866 at St. Ferdinand d'Halifax, Mégantic, QC, Canada. He married Georgianna Laroche, daughter of F. X. Thomas Laroche and Marie Dubois, on 29 February 1892 at St. Ferdinand d'Halifax, Mégantic, QC, Canada. François Xavier Binet died on 24 March 1936 at Fall River, Bristol, RI, at age 70. He was buried on 27 March 1936 at Notre Dame Cemetery, Fall River, Bristol, MA. Georgianna Laroche was born on 15 March 1877 at St. Adrien d'Irlande, Mégantic, QC, Canada. She married François Xavier Binet, son of Pierre Binet and M. Justine Grégoire, on 29 February 1892 at St. Ferdinand d'Halifax, Mégantic, QC, Canada. Georgianna Laroche died on 7 January 1958 at Fall River, Bristol, MA, at age 80. She was buried on 11 January 1958 at Notre Dame Cemetery, Fall River, Bristol, ME. Pierre Poirier was born. He married Marie-Louise Gagné, daughter of Josèph Gagné and Marie-Josèph Landry, on 10 November 1772 at Ste. Marie, Beauce, QC, Canada. Marie-Louise Gagné was born. She married Pierre Poirier, son of Michel Poirier and Marie-Josèphe Lebrun, on 10 November 1772 at Ste. Marie, Beauce, QC, Canada. Philippe Valliere was born. He married Marie-Anne Boulet, daughter of Guillaume Boulet and Marie-Anne Dandurand, on 10 November 1772 at St. Thomas, QC, Canada. Marie-Anne Boulet was born. She married Philippe Valliere, son of Jean Baptiste Valliere and Marie Fiset, on 10 November 1772 at St. Thomas, QC, Canada.